A small crop-duster manufacturer and a Texas company that exports oil equipment fret about losing 25 percent to 40 percent of their sales. The president of a trade-financing firm says many of his 1,000 clients could see their Christmas season business plummet. And Boeing said Wednesday that it is considering moving portions of its sprawling operations overseas, reversing past efforts to keep manufacturing jobs in the U.S.
That’s all a result of the demise of the Export-Import Bank, which is forcing companies large and small to ponder potentially wrenching changes as Congress prepares to leave town without acting on efforts to resurrect it. The August recess means that any rescue is at least a month away, if not longer, leaving export-dependent businesses to get by without the array of assistance the New Deal-era agency offers. Ex-Im’s federal authorization expired July 1, to the cheers of conservative lawmakers who view it as a tool for crony capitalism. Already, credit insurance policies are starting to run out for a number of the roughly 3,000 small businesses that rely on them to be able to export. Still, some U.S. companies are continuing to compete for overseas bids that will ultimately require Ex-Im backing, in the hopes that the agency will be renewed before the deals fall through, National Association of Manufacturers Vice President Linda Dempsey said in an interview. That revival won’t happen anytime soon, though. Ex-Im backers had been hoping that Congress would resurrect the bank as part of this Friday’s drop-dead deadline for extending the life of the Highway Trust Fund. But the House left town Wednesday for the August recess after passing a three-month highway extension that includes no rescue for the bank. The fight is far from over, but lawmakers won’t be able to act on Ex-Im until September at the earliest, or possibly as late as December. Some big companies may choose not to wait. Boeing Chairman Jim McNerney said during an appearance Wednesday that the giant plane manufacturer and defense contractor is considering moving parts of its operations to other countries, where they could take advantage of those nations’ equivalents to Ex-Im to continue selling products overseas. “We’re actively considering now moving key pieces of our company to other countries, and we would’ve never considered that before this craziness on Ex-Im,” McNerney said. McNerney added that he might have “made the wrong decision” years ago in trying to keep production in the U.S., given the newly uncertain politics surrounding export financing in Washington. “People just playing politics — they’re not connected to the real world anymore,” he said. The Exporters for Ex-Im Coalition put out yet another plea for renewal this week, noting that deals approved only on July 27 for the past five years amounted to $30.2 million for 34 businesses — deals that could no longer happen today. Heck also argued that “two major manufacturers in this country” will move production offshore without the agency, the other being an apparent reference to General Electric. But Rep. Jim Jordan (R-Ohio), a leading conservative critic of the bank, sees even a prolonged expiration for the bank as a victory. Heritage Action Chief Executive Officer Michael Needham similarly hailed Ex-Im’s expiration as “the culmination of a three-year effort waged by conservatives against a vast, well-funded network of consultants, lobbyists and big-government interest groups.” In a statement, he also praised House Majority Leader Kevin McCarthy (R-Calif.) in particular for his efforts. “If the Republican Party hopes to attract voters who gravitate to a message built around opportunity for all and favoritism to none, GOP leaders must follow his lead and preserve this historic policy victory,” Needham said. 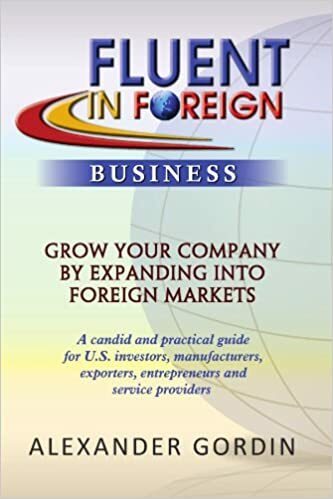 The Export-Import Bank guarantees loans for foreign companies interested in buying U.S. exports, and also runs programs such as providing insurance and credit to help small businesses secure new customers and working capital. Critics like Jordan argue that Ex-Im doesn’t create jobs, it merely shifts jobs to export-related sectors. They also emphasize that the private sector could step in to fill the void the bank’s death creates, pointing to statements by Boeing executives admitting as much. But Rami Touma, president of Houston-based oil equipment exporter CECA Supply & Services, said Ex-Im’s services are critical to his business’s ability to sell products to Algeria, its major source of income. The national Algerian oil company requires exporters to post a 10 percent performance bond, which is held until the job is done. And in the past year, Touma’s 30-employee company had its best year ever, with $60 million in sales. “We do not have the ability to just not have $6 million accessible to us,” Touma said. “So Ex-Im, they put the money in for us, and we pay a fee.” He said Ex-Im can facilitate this because it has the expertise and access to State Department information to allow it to judge the reliability of a foreign buyer, something a traditional bank might not be able to do. Similarly, Schroeder’s Texas crop-dusting manufacturer could lose up to one-fourth of its sales after losing the bank’s credit insurance, he said Wednesday. BCH Trading, a lumber shipper from Arkansas whose working capital guarantee with Ex-Im expires in April, would have to find an investor to help it access money needed as collateral for business deals, President Randy Barsalou told POLITICO. Private banks won’t lend against the promise of money by a foreign buyer, which leaves small businesses with few options, such as putting up their own assets as collateral. Mendell said small companies looking to export don’t have other options for replacing many of Ex-Im’s services. That’s because the volume of their exports is too small or the market risk is too great for so meager a transaction. For almost all of Mendell’s clients, he was able to ensure the renewal of Ex-Im-backed insurance policies that were expiring in July and August, but those whose policies are up in September are already facing problems. The insurance allows the U.S. exporter to give the foreign buyer payment terms, so it can take 30, 60 or 90 days to pay for the shipment. But if the exporter is selling something like medical equipment that will take 90 days to manufacture, Mendell said, then the insurance wouldn’t be available when it’s ready to ship. “If you’ve got a customers for Christmas season, you’re shipping in September/October,” he said, so many of his clients are having to cut back sales. Still, Heritage Action emphasizes in its publications that just 0.52 percent of small-business exporters, not even getting to small businesses overall, used the agency’s services in 2012. Also in the balance are the jobs of roughly 430 Ex-Im employees, none of whom have yet been furloughed because the bank still has funding and work to do. Ex-Im Chairman Fred Hochberg told POLITICO last week that his agency is keeping busy — including processing $25 billion in loans. “That’s almost a year’s worth of work,” he said, in response to a question about whether the agency would try to put off furloughs as long as possible. But if Congress ultimately doesn’t renew the bank, it’s clear that Ex-Im intends to stick around until the end of the longest loan guarantee, which could be as long as 18 years. So, expired or not, the bank will likely be around for a while. But Rep. Stephen Fincher (R-Tenn.) warned that if the agency’s expiration continues into December or January, the bank could be hard to ever revive. Even though the U.S. Senate supported EXIM by including its reauthorization in its version of the highway bill, the U.S. House is refusing to vote on it, instead voting for a short-term highway bill that does not include the reauthorization. Unless the long-term highway bill with the EXIM reauthorization is passed through conference committee (which is unlikely), EXIM’s reauthorization will have to wait until September. Here is a link to help you find your representatives, send emails and let your voice be heard. All of EXIM’s approved transactions will continue to be honored regardless of the reauthorization vote. Existing facilities will continue to disburse and insurance policies will remain in place. 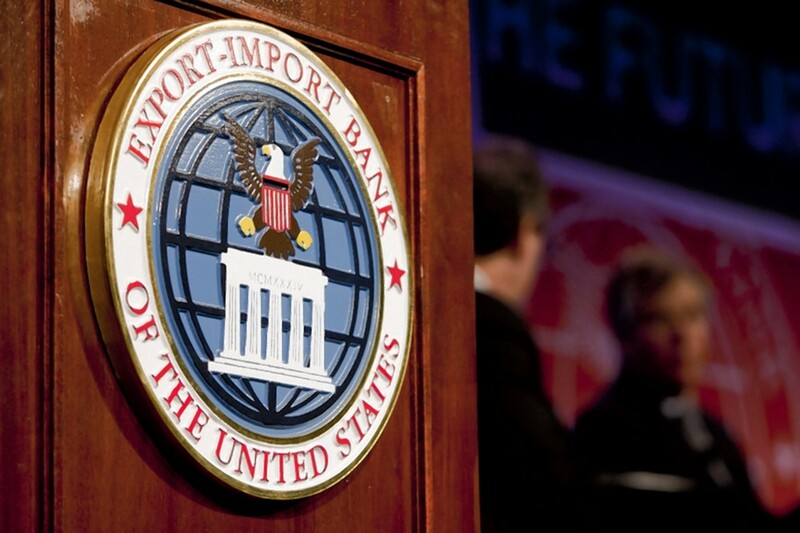 WASHINGTON — It’s tempting to celebrate the demise of the Export-Import Bank, whose authority expired last week. The bank, which subsidizes American exports, is held up by its congressional critics as an example of crony capitalism. Among the companies lobbying to keep it going were General Electric, whose revenue was almost $150 billion last year, with a profit of $15 billion. Why, opponents ask, does it need government help? Yet the odds are that the bank will rise from its death bed and be reauthorized. The congressional politics are intense — the political right has a lot vested in killing the bank — and could affect future congressional leadership. The process will be messy. The theoretical case against Ex-Im is compelling: Corporate welfare isn’t among the more pressing claims for government assistance. In practice, the argument breaks down: The bank is a job creator at no cost to the taxpayers. Started by Franklin D. Roosevelt, it provides direct loans and loan guarantees at low interest rates to foreign entities to buy American products. Many countries require this kind of support as a condition for importing American goods, and in many cases these are transactions that private banks won’t undertake. Most other nations have export credit agencies and some, especially China, are much more aggressive about selling abroad than the United States. Last year, the bank returned $675 million to the United States Treasury, mostly from the fees and interest it charges on loans. The deals it underwrote helped create more than 160,000 jobs. The default rate was less than 1 percent. Critics contend that a big chunk of Ex-Im’s lending goes to a few large companies such as Boeing and G.E. There is some truth to that claim, though Commerce Secretary Penny Pritzker says, “They’re forgetting about the supply chains, the thousands of small- and medium-size companies that benefit.” G.E. gets Ex-Im Bank assistance for projects such as locomotives for Angola or a water project for Cameroon, which are among the dozens of countries that require export credit funding, and where private financing wouldn’t be available. Nonetheless, killing the bank has become a cause célèbre for conservative policy institutions and some politicians, who oppose a government program that benefits big business and is supported by President Obama. The presidential candidate Ted Cruz and other Republican leaders are making defunding the bank a conservative litmus test. Last year, Gov. Rick Perry of Texas was a big promoter of the bank, which he called a job creator in his state. In May of this year, as a presidential candidate, he came out against reauthorization. The congressional politics are byzantine. 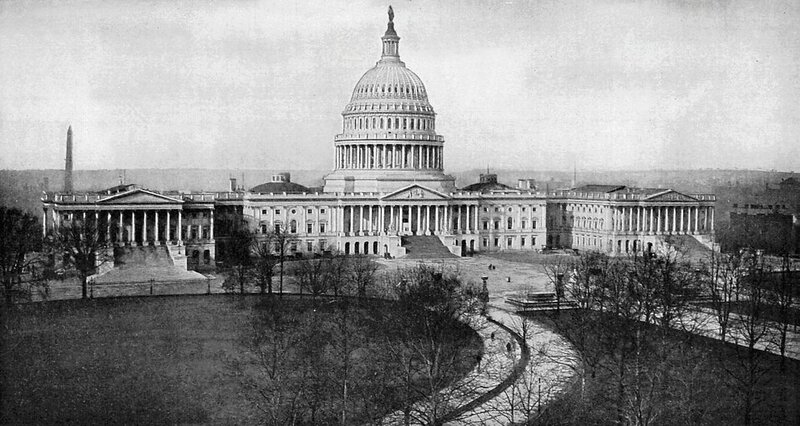 A solid majority in both houses of Congress supports the bank. In a procedural vote last month, it was backed by 65 senators, enough to overcome any filibuster; opposition came from mainly conservative Republicans and Bernie Sanders, the independent Socialist from Vermont who is running for president. In the House, opponents, led by the Financial Services Committee chairman, Jeb Hensarling, don’t want a floor vote, arguing that a majority of the Republican caucus wouldn’t stand with Ex-Im. Mr. Hensarling has leadership ambitions and, hearing his footsteps, other party leaders have flipped and now oppose defunding; The House speaker, John A. Boehner, is waffling. Associates say he doesn’t relish a fight with his caucus’s right wing, especially as similar battles are likely later over issues such as raising the debt ceiling. Senate supporters of the bank will meet with the president this week to map strategy and what changes in the authorization would be acceptable. The most likely course is to attach Ex-Im to a “must pass” bill, likely the highway authorization, and send it to the House where there are enough votes to pass it. If that succeeds, the critics of crony capitalism can easily find new targets. The United States tax code is a gold mine of corporate welfare. AS of 12:01 am July 1st, the charter of the Export Import Bank of the United States expired. In one of the most irresponsible and politically charged act, the Congress failed to bring bank’s reauthorization to a vote, letting it lapse (we hope temporarily). Thus, as of now, the United States are technically without an offcial Export Credit Agency supporting national exports. It is a shame and an outrage. Barring any eleventh-hour developments in Congress (which are unlikely), US Ex-Im Bank will lose its charter on June 30th. Claudia Slacik, the ECA’s chief banking officer and senior vice president, export finance, noted that if the agency’s charter does expire, it will continue to work on existing deals and simply cease doing any new business. Regardless of what happens, US Ex-Im Bank will continue to exist and honor its existing commitments to borrowers and lenders for years to come. Many in Congress and elsewhere are optimistic about a full reauthorization of US Ex-Im Bank in July. Senate Majority Leader Mitch McConnell of Kentucky said Tuesday that it was possible that the Senate could vote in July on a full reauthorization of the agency as an amendment to the highway funding bill. Meanwhile, outside the United States, governments continue to rely on ECAs to promote exports. In the United Kingdom, a Labor Party-commissioned report called for further reforms to UKEF to further expand its role in promoting exports.